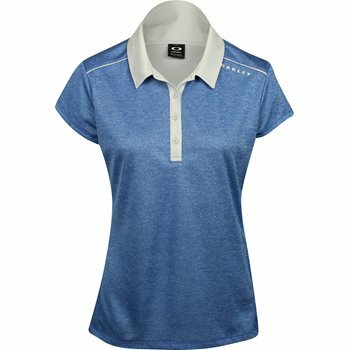 The Oakley Balata Heather Golf polo features lightweight, breathable fabric that keeps the skin ventilated. The fabric is engineered for stretch so you can feel comfortable and move naturally without restriction. The easy care fabric is machine washable and resistant to shrinking. It is also resistant to wrinkles so you can spend less time ironing and more time on the golf course. The Balata is designed with a slightly slim fit, Oakley branding at the front and back, and a 4 button placket for closure adjustability.